Pierre Trudeau Biographies - Joseph Philippe Pierre Yves Elliott Trudeau was first elected Canada's prime minister in 1968. He remained in power over the following 16 years until 1979. He wore scandals in the Canada's House of Commons, dated celebrities such as Barbara Streisand, Kim Cattrall, Liona Boyd, and Margot Kidder, occasionally used obscenities to insult his opponents, and one time, Pierre Trudeau did a pirouette behind the back of Queen Elizabeth II. As prime minister, Trudeau patriated the Canadian Constitution from the British Parliament to Canada and incorporated in it the Canadian Charter of Rights and Freedoms. The influence of Trudeau's policies and actions in Canada is still strong and very evident in Canadian politics today. 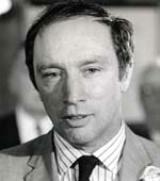 Pierre Trudeau's status as a political giant in Canadian history is indisputable. Born in Montreal, Quebec, Pierre Trudeau was a flamboyant and charismatic intellectual. He attended Harvard University and the London School of Economics. A clever (some would say "cunning") politician, he led Canada through some of its most tumultuous times. He was often controversial. As prime minister, Trudeau espoused participatory democracy as a means of making Canada a "Just Society." His desire for greater citizen involvement in government appears to have been frustrated by lack of support within his party, and he later opposed greater involvement for citizens in representative democracy. He vigorously defended the newly implemented universal health care and regional development programs as means of making society more just. Trudeau's final term in office was significant for the federalist victory in the first Quebec referendum on independence (called by Parti Québécois premier René Lévesque) and Trudeau's successful attempts to patriate the Canadian constitution and add a Charter of Rights and Freedoms, his most enduring legacy. Quebec refused to agree to the new constitution, the source of continued acrimony between Quebec City and Ottawa. On February 29, 1984, after taking a famous "long walk in the snow" Trudeau decided to step down as prime minister, ending his 16-year rule of Canada. 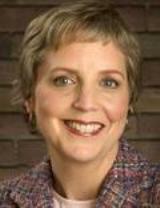 Deborah Margaret Ryland Coyne, LLB , MPhil is a Canadian constitutional lawyer, professor and author. She is the cousin of journalist Andrew Coyne and actress Susan Coyne, and the niece of former governor of the Bank of Canada, James Coyne. Her education includes a Bachelor of Laws degree from Osgoode Hall Law School of York University and a Master of Philosophy from Oxford University in international relations. She was a staffer in the Prime Minister's Office of John Turner, before spending two years teaching constitutional law at the University of Toronto Law School; she has also worked for the Business Council on National Issues and the Ontario Human Rights Commission. Coyne was a constitutional advisor to then Newfoundland Premier Clyde Wells and helped draft his opposition to the Meech Lake Constitutional Accord. In 1992, she was one of the leaders of the "No" campaign during the referendum on the Charlottetown Accord, writing and speaking extensively in opposition to the deal. Until the 2006 federal election was called she was a member of the Immigration and Refugee Board of Canada. In that election, she ran in the electoral district of Toronto—Danforth as a Liberal Party candidate against New Democratic Party leader Jack Layton. Coyne finished second to Layton with 17,256 votes, or 34.2%. In the next federal election, Coyne intends to again compete against Layton and Green Party candidate Charles Battershill. Coyne has two children; the first, Sarah, is the daughter of Pierre Trudeau and was born in 1991. Coyne and Trudeau never married. Coyne later married Canadian journalist Michael Valpy with whom she had a son. The couple are now divorced, and she lives with her family in Toronto.